Since his childhood, baseball always seemed to make sense to Mike Perekupka. He played in high school, then on a club team at the University of Maryland. After graduating, he planned to coach or find another way to stay involved with the sport. Just like that, Perekupka, also a math and statistics teacher at Cinnaminson, was hooked. Perekupka didn’t know much about the mechanics behind a swing or the proper footwork to hit a forehand, but since his first day as a coach in 2009, he showed something that makes the best coaches stand out: a connection with the kids, and the desire to help them get better. Coming from a family full of teachers, that part was natural. Naturally, Perekupka started hitting more with some of the kids during practice, and then hitting even more with some friends outside of school. About two years ago, he decided to focus on his own game. While continuing to coach and teach, he began playing more and looking for ways to improve. A former catcher and first baseman, he always had good footwork, hand-eye coordination and athletic ability, but needed instruction from somewhere. He watched YouTube videos, read tips and drills in tennis publications, and asked for advice everywhere he went. It wasn’t exactly formal training, but his game reached a new level. 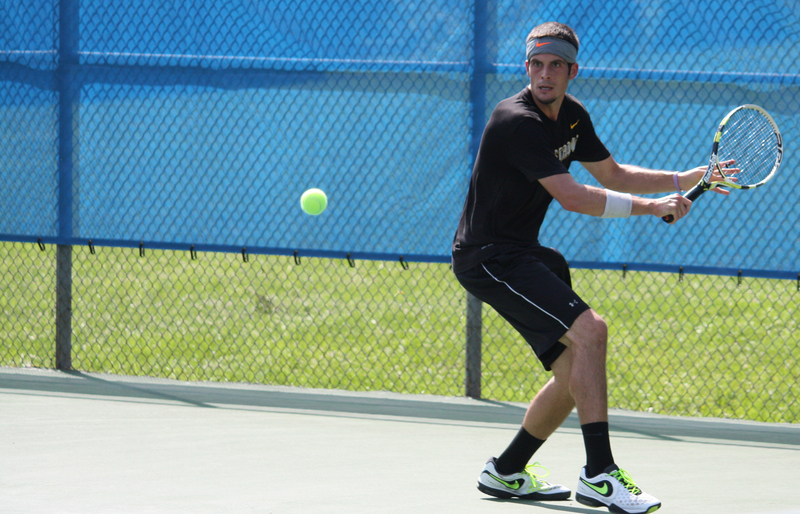 In June, Perekupka played in his first-ever USTA event when he laced up his sneakers to compete in the US Open National Playoffs. He won his first match before dropping a three-setter in the second round. With that experience now in the books, you can expect to see more of him in tournaments, at the park, or anywhere else he sees a court. For information about how to get involved in USTA adult programs, click here. Reblogged this on All Health All Tennis.